There are more than 33,000 species of living fishes, accounting for more than half of the extant vertebrate diversity on Earth. 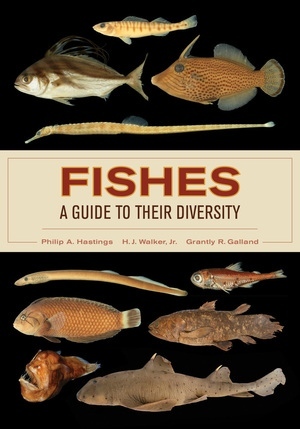 This unique and comprehensive reference showcases the basic anatomy and diversity of all 82 orders of fishes and more than 150 of the most commonly encountered families, focusing on their distinctive features. Accurate identification of each group, including its distinguishing characteristics, is supported with clear photographs of preserved specimens, primarily from the archives of the Marine Vertebrate Collection at Scripps Institution of Oceanography. This diagnostic information is supplemented by radiographs, additional illustrations of particularly diverse lineages, and key references and ecological information for each group. 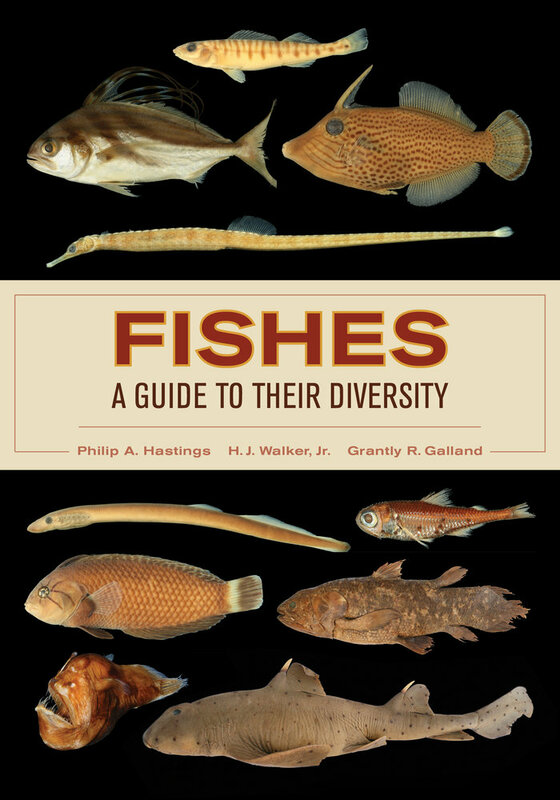 An ideal companion to primary ichthyology texts, Fishes: A Guide to Their Diversity gives a broad overview of fish morphology arranged in a modern classification system for students, fisheries scientists, marine biologists, vertebrate zoologists, and everyday naturalists. This survey of the most speciose group of vertebrates on Earth will expand the appreciation of and interest in the amazing diversity of fishes. Philip A. Hastings is Professor of Marine Biology and Curator of Marine Vertebrates at Scripps Institution of Oceanography, University of California, San Diego. His studies include the systematics and phylogeny of fishes, marine biogeography, ecology and behavioral evolution of fishes, and marine conservation biology. H. J. Walker, Jr., is a Senior Museum Scientist at Scripps Institution of Oceanography, University of California, San Diego. His research and interests include the taxonomy, systematics, and zoogeography of marine fishes and the observation of these fishes in their natural environments. Grantly R. Galland is a recent graduate of Scripps Institution of Oceanography, University of California, San Diego. He studies the ecology of fishes and works to implement successful conservation and policy strategies for protecting the marine environment. "The authors have turned hundreds of surprisingly beautiful photographs of preserved fishes into an art form and have used them as the foundation for this very useful volume... this book should be on the desk or laboratory bench of every undergraduate and graduate student of ichthyology."